Pictures of Salford Quays, Manchester. Salford Quays were once part of the thriving Docks at the head of the Manchester Ship Canal. In the early 1980's the docks were closed to commercial traffic and redeveloped for private housing, commerce and recreation. Salford Quays is an attractive waterfront location and is already home to companies such as BUPA, Orange, BNFL Engineering and Barclaycall. 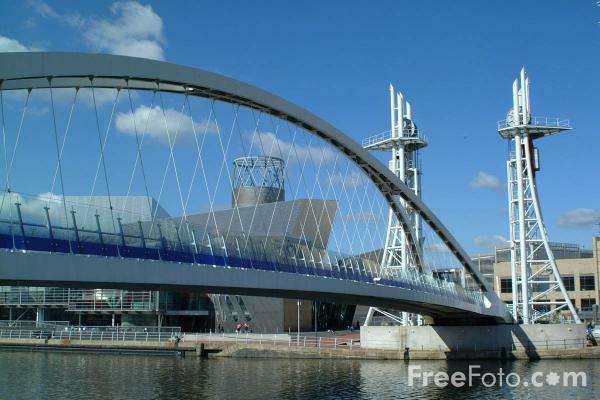 VIEW: More images from the category Salford Quays, Manchester or around the same time .